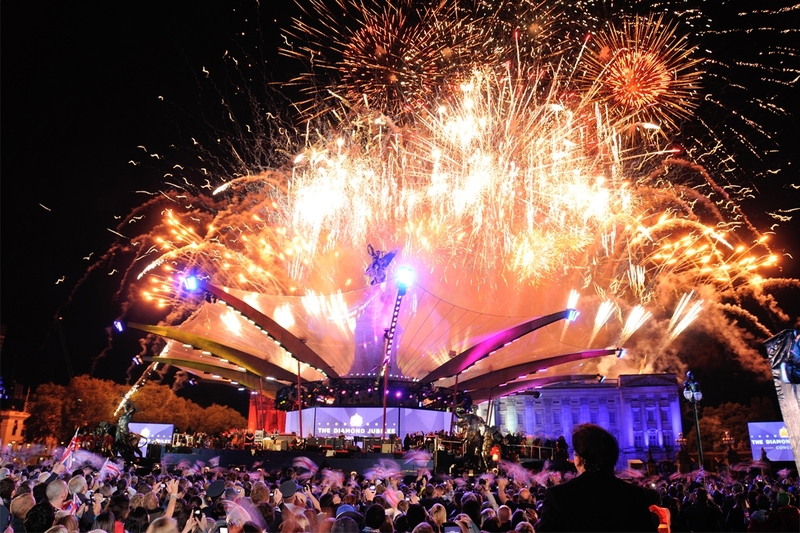 In July of 2011 I received a call from Robbie Williams (Productions that is, not the singer) inviting me to design the lighting for the Diamond Jubilee Concert to be held on June the 4th the following summer. 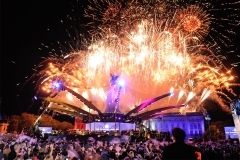 Unlike my previous design for the Golden Jubilee, where I was responsible for the light and fire show on the façade of Buckingham Palace, this time the concert rather than being in the Palace garden would be staged in front of the Palace around the Queen Victoria Memorial. Architect Mark Fisher designed the roof structure which had to be as transparent as physically possible to create minimal obstruction of the Palace for our live and Television audiences.The Queen Victoria Memorial has a nautical theme as it was built as a memorial to the Empress of India at the height of British naval power and the roof design saluted this. The timber beams were large and expressive and the transparent skins between them suggested sails. The lighting equipment was supplied by Neg Earth and the event was programmed by Tim Routledge with Alex Passmore handling key lighting for our TV lighting director Steve Nolan. 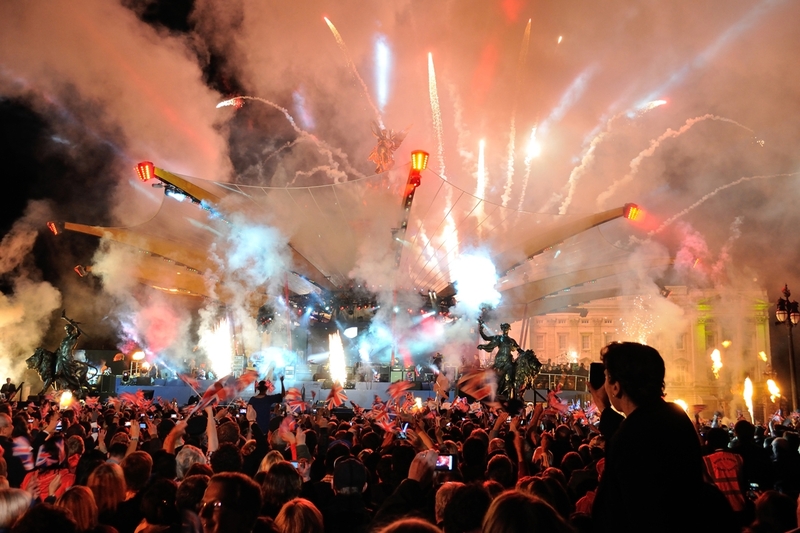 The amazing and creative LED stage screen content was created by Miguel Ribeiro and his associate Paul Clutterbuck and XL video supplied the screens. 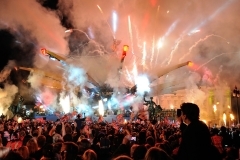 The control of the Palace compound and the cameo performances by Madness and a duet by Alfie Boe and Renee Fleming on the balcony was operated by Dave Hill with Jeffery A Smith and his team looking after the Syncrolites Arena Colors which lit the Palace façade when the fireworks and pyro was too bright to use the projection system. The lighting of the Palace façade included 3D mapping of video projection once the sun had finally set and special thanks must go to Steve Greetham and Andy Joyes of XL video with whom I determined the minimum of projectors that would guarantee an acceptable light level onto the Palace ‘screen’.